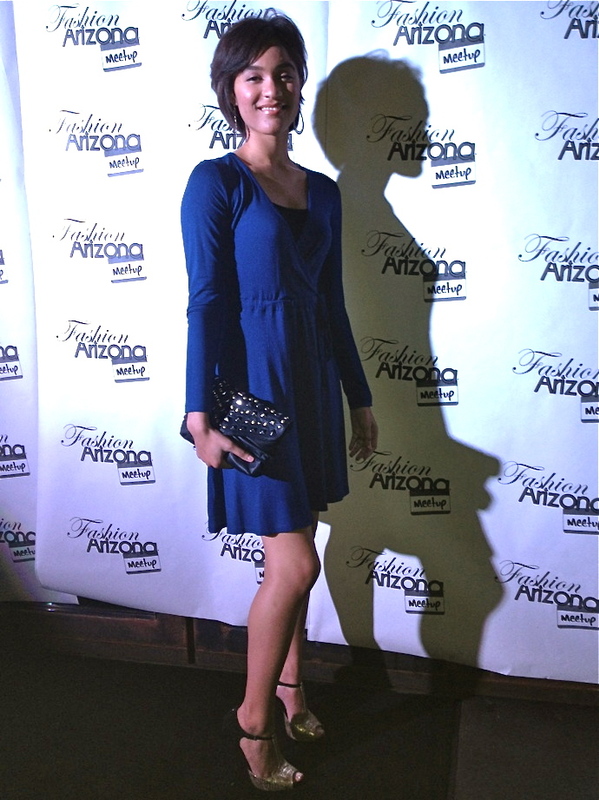 For the first time, Phoenix Fashion Week’s Shop Garment District e-commerce platform launched Wednesday, January 2, 2013, on our official Facebook page! Starting January 2nd, fans will be able to shop our official PHXFW LIMITED EDITION apparel and accessories. These designs will be inspired PHXFW themes and will include collaborations with our long list of designers. Since these designs will be LIMITED EDITIONS, you have to be among the first to ‘LIKE‘ the item to assure you ‘win’ the opportunity to purchase that item. HOW WILL IT WORK: We will list the item description, along with a picture, sizes, color, quantity available, as well as list the model, photographer, and stylist. You must ‘like’ the post and add a comment with your e-mail address, specifying the quantity you desire, size, and color. If you ‘win’ the opportunity to purchase that item, someone from the Phoenix Fashion Week team will contact you for payment details. We have been planning this for a long time, and we are excited to share our PHXFW LIMITED EDITION apparel & accessories with you. “Like” us on Facebook for a chance to buy these Limited Edition designs! On Friday June 17th, from 7:00pm – 9:00pm, come Meet & Greet designers from all over the U.S. that will be the next “IT” designers to launch their brands this fall at Phoenix Fashion Week, October 5 – 8, 2011. For the first time ever, we have Emerging Designers representing Ohio, Mexico, Texas, Minnesota, Missouri and Arizona competing for a $15,000 Prize Package of Goods & Services to help launch their brand. The first (50) guests will receive PHOENIX FASHION WEEK goodie bags and we will be (FREE) raffling off one big gift for one of our lucky fashionistas. Guest Speakers: Hear perspectives from 2009 & 2010 Emerging Designer Winners! Bring a fashionable friend, come out and hear what inspires these young designers, while catching a “sneak peek” at their Spring 2012 collections. The Emerging Designer Contest Powered by: vitaminwater zero, CItyScape, Madison Buyer, and Splinter Creative. We love feedback! Ask a question or post a comment and you might win a Phoenix Fashion Week T-shirt! As you may know, Phoenix Fashion Week hosts monthly fashion networking events at various venues around the valley, featuring local vendors to shop, fabulous speakers, raffle prizes and more! 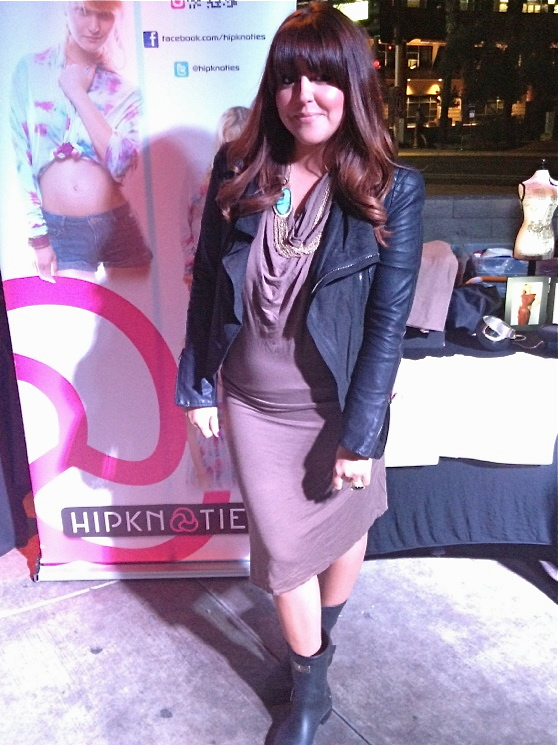 This month’s Fashion AZ Meetup was hosted at Firehouse Lounge in Oldtown Scottsdale, with featured designer hipKNOTies, and we were not only thrilled with the amazing turnout, but the caliber of attendees and amount of organic networking that occurred! 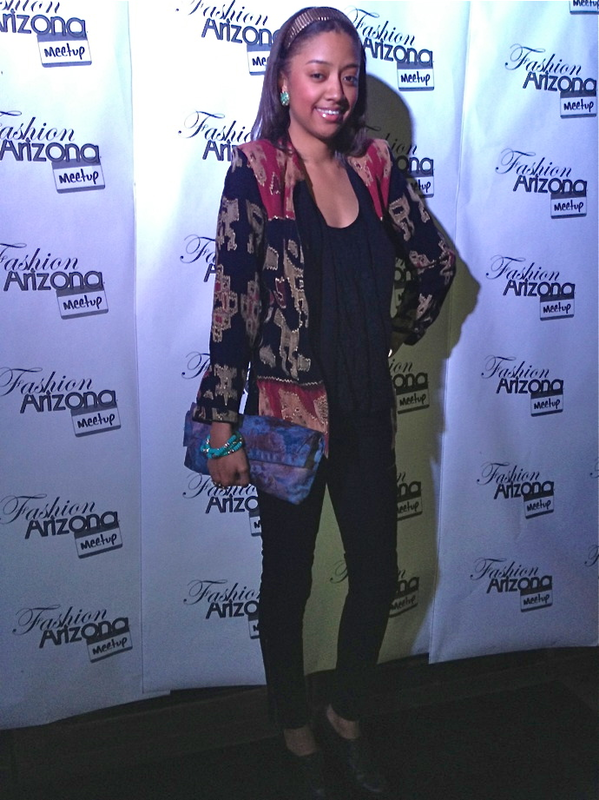 Of course, PHXFW’s Media Team was out securing coverage, as well as snapping pictures of the amazing street style that night. Here are some of the fashion highlights of the night! *We love feedback! Post a comment with your favorite street style look and you could win a PHXFW T-shirt! Of course, there are some exciting changes to note for this year’s pageants. For the first time, Go daddy girl and Phoenix Fashion Week Fashionably Pink Celebrity Leann Dearing, will be co-hosting the event. It will also be one of only four other states to post the events live on the internet, so those that cannot make it can watch live streaming in the comfort of their homes. What’s more, Phoenix Fashion Week’s own Executive Director, Brian Hill and Operations Director, Brenna Moses, will be lending their fashion expertise as guest judges. Hill will be judging the Miss Arizona USA pageant and Moses the Miss Teen Arizona USA pageant. “Britt Boyse and the Miss Arizona USA Pageant have been supporters of PHXFW for years, and I am honored to be invited as a judge. These fashionable women are next year’s fashionistas and to align with a global brand like the Miss AZ USA Pageant is in line with the growth pattern and goals of Phoenix Fashion Week,” said Hill. Moses also mirrored similar emotions about being chosen as a guest judge. “I am so excited to be involved this year as a judge and see all these talented women compete.” Phoenix Fashion Week is involved in more ways than one this year, as PHXFW Emerging Designer finalist, Silvia Bours of Mexico, will be the official dress of the pageants, as she is outfitting the event hosts, as well providing a dress to each of the pageant winners. “We were able to secure Silvia Bours as the official dress, which is an amazing opportunity, as she is the next ‘it’ designer in the nation, aligning her brand with the next contestants with a potential to become a national brand themselves,” Hill said. The 2011 title holders, Miss Arizona USA Brittany Bratton and Miss Teen Arizona USA Molly Argue, will be crowning the 2012 winners. Perhaps the best take away from the pageants is the knowledge and opportunities these girls gain from the experience. It is no surprise that these events are scouted by modeling agencies and casting looking for the next beautiful faces. The pageants also offer free workshops for contestants throughout the year, including how to present themselves, practicing their walk, fitness, hair and makeup, and more. “The pageant is, at the end of the day, about what they can discover about themselves and what they learn….to project confidence and not be intimidated by questions from such influence individuals as Brian Hill,” Boyse said. 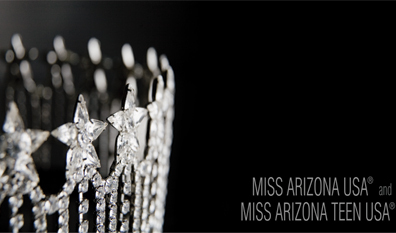 For more information about the Miss Arizona USA and Miss Teen Arizona USA Pageants, visit: www.missarizonausa.com or follow them on Twitter @missarizonausa. For those of you unable to attend the event, make sure to tune in online for the live streaming on their website. *We love feedback! Post a comment on this article and you could win a PHXFW t-shirt! 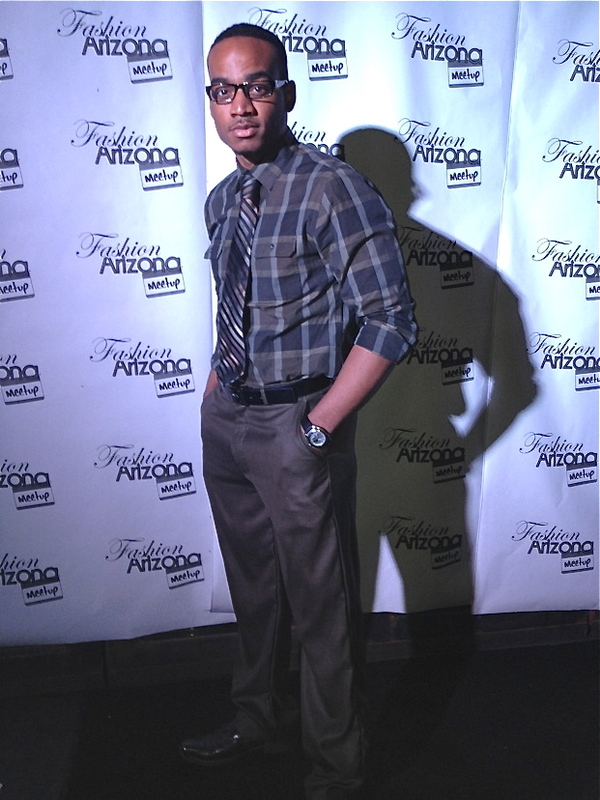 Every year, Phoenix Fashion Week prides itself in educating the fashion community and general public, whether it be hosting speaking engagements at local high schools, organizing a scholarship opportunity through a polo shirt design contest or working with fashion educators to improve their programs. PHXFW is excited to announce the continuation of our “Business of Fashion” seminar series at Talking Stick Resort from October 6-8th, with an amazing lineup of topics and industry experts! What’s more, Collins College has come on board this year as the official sponsor. Program Chair of Fashion and Merchandising at Collins College, Nicole Bissing, is supportive of PHXFW and believes it will benefit their students greatly. 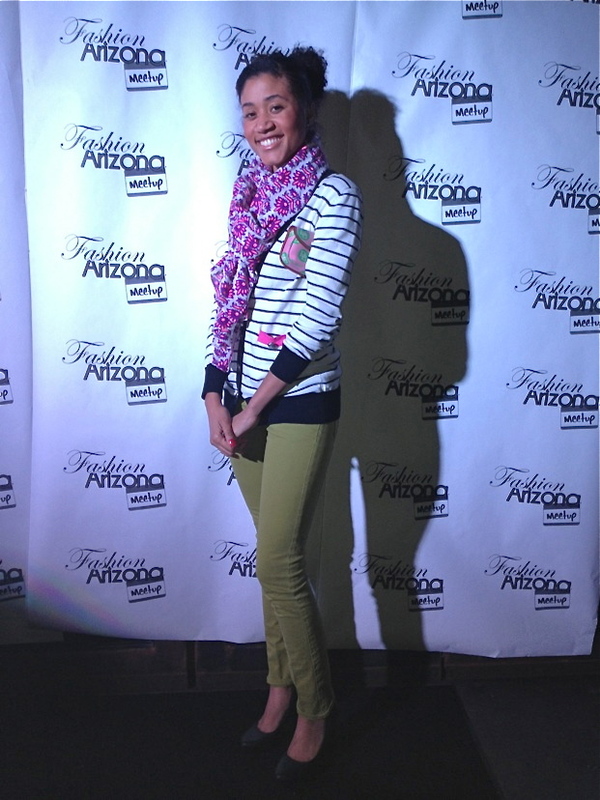 “Phoenix Fashion Week is helping build the fashion Industry in Arizona, which gives my students career opportunities in Arizona. The fashion industry is small but growing thanks to events like Phoenix Fashion Week and their mentoring of young designers.” Collins College will also have a booth setup during the seminars for any prospective students looking for more information about attending the school. From topics such as “how to start a fashion line on a shoestring budget” to social media and fashion styling, we have seminars to appeal to every level of learning, from students to professionals. Speakers will include Mercedes Gonzalez of Global Purchasing Group in NYC to local wardrobe stylist Jill Laine and Constant Contact’s own Ron Cates! Read on for the complete schedule, including details and ticket information! “Target markets are demanding the status of wearing a ‘BRAND,’ whether it is on the outside of the item or inside and unseen. We will discuss how to approach the concept of Branding, costs involved, protecting the Brand, overseas black markets and the creativity in creating a meaningful Brand Name for your product.” – Speaker: Laura Sherman, Fashion Business, Inc. Learn how to successfully market your fashion brand and products with Constant Contact. Alicia Estrada-Stop Staring Clothing, Chris Detert- American Rebel PR, Joanna De’shay-Black Russian Label, Rosiland Moore-Moore SystemWorks, Jon Gluck, Iconic Digital and more! *To purchase your tickets to any of these seminars, visit: http://bit.ly/qf1w6l. For General Public, it is $15 per seminar and if you book two seminars for the same day, you can book the third seminar for free! If you are a student, email liz@phoenixfashionweek.com proof of your current enrollment for a student discount code for $5 off! *We love feedback! Post a comment about this article and you could win a PHXFW t-shirt!